Morgan Hill, California is the perfect, safe, place to live for people who want to be near Silicon Valley and be less than a half hour away from the coast. Though it’s very close and easily commutable to Silicon Valley, business is not what drives this town. Morgan Hill, California is a residential community, with its top employer being the Morgan Hill school system, which is made up of both private and public organizations. 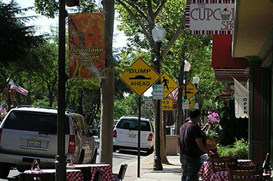 Morgan Hill is a semi-rural community and the regularly medium temperatures make visiting the parks a year-round activity. The beautiful homes in Morgan Hill are very affordable for the young executive or for new families. Residents enjoy living in this charming, small town community.